While California students continue to score a few points below other students nationwide, major gains have been made over the past decade. And while some gains were made this year in narrowing the gap between higher achieving students and African American and Hispanic students, a persistent achievement gap remained. About 220 school districts and 740 schools in California participated in NAEP during the 2012-13 school year, state officials said. Results are reported for populations of students, not for individual students or schools. Complete state and national results are available here. Grade 8 reading: The state average score climbed 7 points, to 262 this year, from 255 in 2011. Scores also rose for students of color, socioeconomically disadvantaged pupils and children with disabilities. English learner scores were unchanged. There was no change in scores for higher achieving students and African American and Hispanic students. The average remains in the NAEP “basic” category. Grade 8 math: The average score was 276, up 3 points from 2011. Scores were also up for all subgroups, including students of color, socioeconomically disadvantaged pupils, children with disabilities and English learners. The gap in scores between higher achieving students and African American and Hispanic students narrowed slightly. The average remains in the NAEP “basic” category. Grade 4 reading: The average was 213, up 2 points from 2011. California’s score was in the NAEP basic range. There were modest improvements overall, with white and Hispanic students performing above the state average. The achievement gap widened slightly between higher achieving students and African American students. Grade 4 math: The average score was 234, remaining relatively unchanged from 2011. 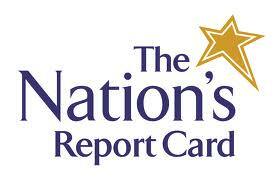 California’s score was in the NAEP basic achievement level. There was a narrowing in scores between higher achieving students and Hispanic students. NAEP is an ongoing, nationally representative, established by Congress in 1969.